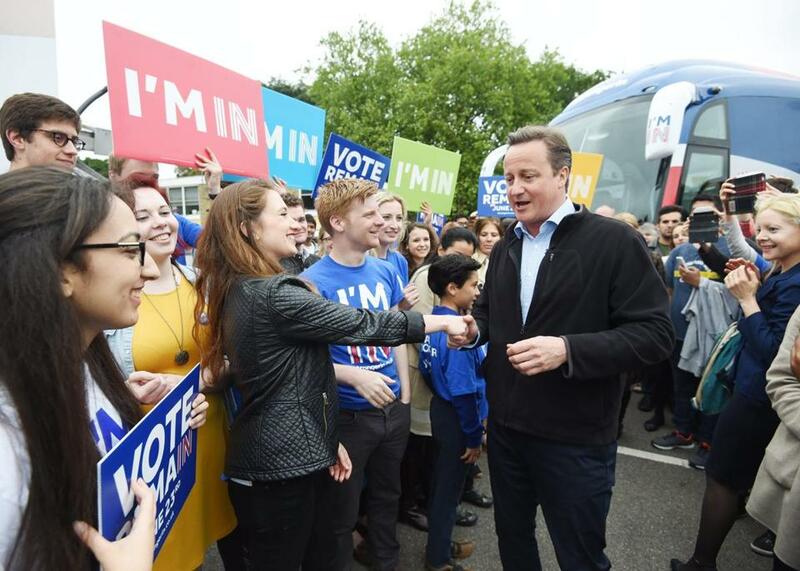 British Prime Minister David Cameron greeted supporters at the launch of the battle bus for the &apos;Remain In&apos; campaign in London on Monday. There is an enduring myth that the London Times once published the headline: “Dense Fog in the Channel: Continent Isolated for Three Days.” In reality, this was always a joke. The principal reason that it evolved into a false “fact” is that it was cited by Nazi propaganda as evidence of insufferable English arrogance. The cartoonist David Low turned the tables. In April 1943, he published “Fog in the Channel,” which depicts Field Marshal Gerd von Runstedt peering across the Channel into a bank of dense fog, trying to work out if an Allied invasion of German-occupied western Europe is imminent. These days “Fog in the Channel: Continent Isolated” has reverted to being a joke — at the expense of those who argue that the United Kingdom would be “better off out” of the European Union. Not many historically informed people believe this, judging by how easy it was to get 300 of the UK’s leading historians to sign an anti-Brexit letter last week. There are of course some historians on the other side. But if only historians got to vote in next month’s referendum, I am confident the result would be a landslide for Remain. I know what you’re thinking. What do a bunch of tweed-clad, dry-as-dust historians know? Well, let me refer you to the late, great Oxford philosopher of history R.G. Collingwood. “True historical problems arise out of practical problems,” Collingwood wrote in his autobiography. “We study history in order to see more clearly into the situation in which we are called upon to act.” That book was published in 1939, on the eve of the Second World War. It ends with a fierce denunciation of the policy of appeasement, which pretended that Czechoslovakia (not to mention Spain) were faraway countries of which Britain knew nothing. Were Collingwood still around, I think he would dismiss the arguments for Brexit with similar scorn. The Brexiteers love to conjure up visions of a European “superstate,” the heir to Napoleon’s and Hitler’s misbegotten empires. But the historian Alan Milward argued that European integration after 1945 was really all about the “rescue of the nation state.” He was right. 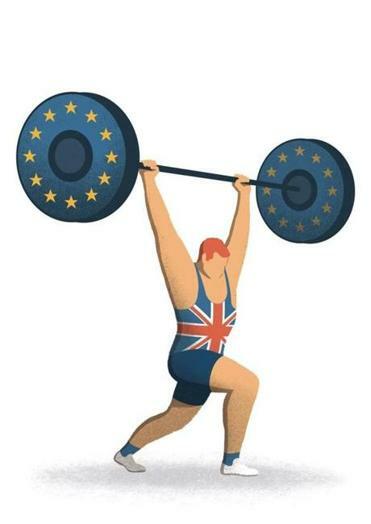 Far from being a mighty superstate, the EU’s main function is to enforce the multiple regulations against non-tariff barriers that ensure it truly is a single market. And which government was it that pushed so hard in the 1980s to create the single market? Why, the British government, led by one Margaret Thatcher. A vote to remain in the EU will ensure that a strong Britain, in a strong Europe, will benefit us all. In the 1990s, the utopians were the pro-Europeans with their fantasy of federalism. Today, by contrast, it is the proponents of Brexit who are the utopians. To us Anglosceptics, the lesson of history is that British isolationism has often been associated with continental disintegration. The prime minister was not taken seriously enough when he asked in his speech on May 9: “Can we be so sure that peace and stability on our continent are assured beyond any shadow of doubt?” His point was that history should discourage us from overestimating the stability of the European continent. One might have thought the Russian invasion of Ukraine and the annexation of Crimea just two years ago would have served us a sufficient reminder of that, to say nothing of the arrival in Europe last year of more than a million refugees and migrants, or the evidence that Islamic State is recruiting in the UK as actively as on the other side of the Channel. Yet the tone of the “Leave” campaign remains doggedly parochial. That is even more true today than it was 120 years ago. Moreover, Britain today can be pledged to the continent without having to make the choice that bedeviled British foreign policy in Salisbury’s day: France or Germany? Is anyone arguing that Europe would have been more stable since 1945 without European integration? The lesson of history, then, is clear. The European Union is, to paraphrase Churchill, the worst of all ways of bringing prosperity and peace to Europe — except for all the others that have been tried from time to time. Between now and June 23 — for as long as the campaign for Brexit continues to breed uncertainty in people’s minds — I am afraid there will be fog in the Channel. But it is not the continent that is isolated; and there is nothing splendid about the isolation Britons risk by ignoring the lessons of history. Niall Ferguson is Laurence A. Tisch professor of history at Harvard and a senior fellow of the Hoover Institution at Stanford.